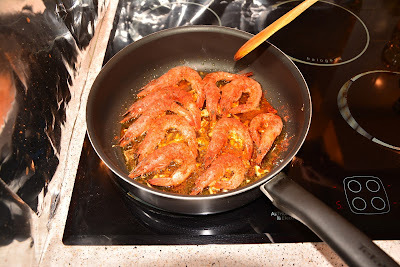 The Paris Feast: Gambas Pil Pil : A popular Spanish Tapa. Gambas Pil Pil : A popular Spanish Tapa. Sunday morning, a rather pleasant overcast autumn morning and a perfect stroll on such Sundays always lead us to the weekly farmers’ market of our neighborhood. 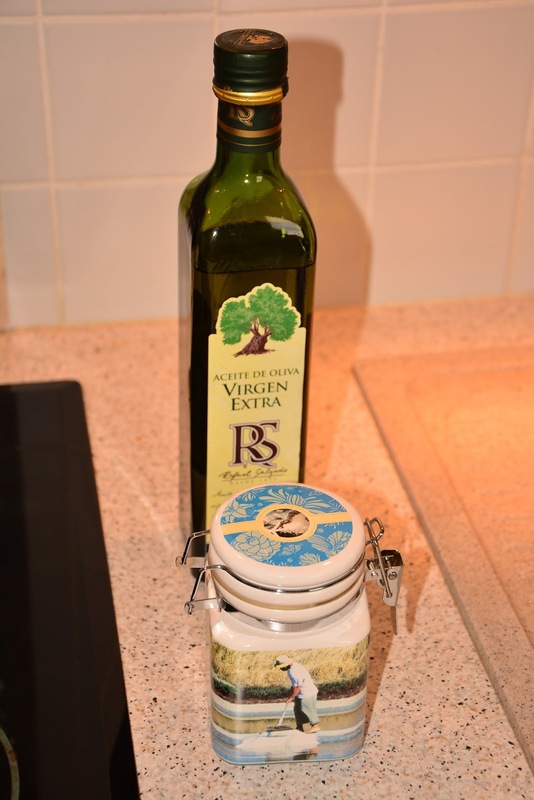 The most important reason for finding ourselves at these farmers’ markets rather than the conglomerate supermarkets is simply the freshness and the superior quality of the products here. 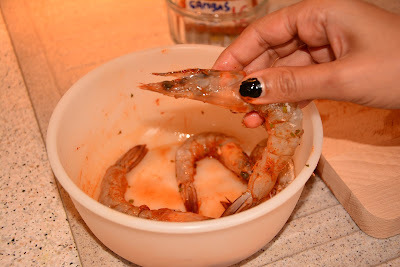 This week I bought prawns and tried my hand at a Spanish popular tapa, the “Gambas Pil Pil”. I must say that I tried this tapa at a beach shack on my recent trip to Malaga and I really liked it. 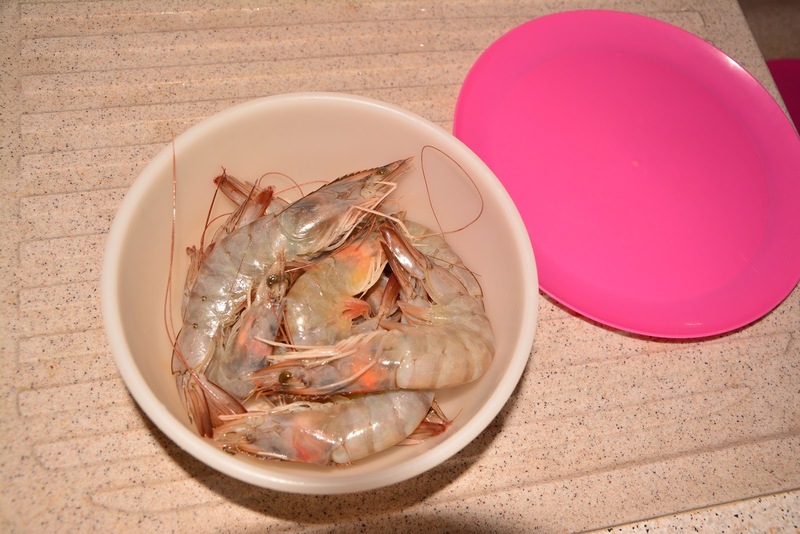 So when I saw the fresh prawns at the farmers’ market I could not resist taking them home. 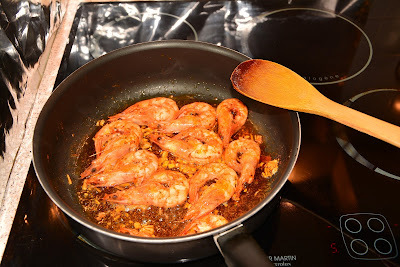 Here is how you can try to make Gambas Pil Pil yourself. 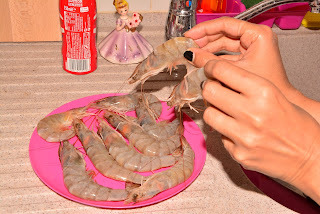 Generally the dish is done with headless prawns but since I love the juicy heads, I spared chopping them off. 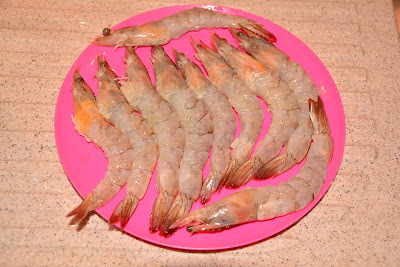 Raw undressed prawns ready to be cleaned. I cut the joints and removed the shell from the body leaving behind the the tail. With the help of a small knife I deveined the prawns. I marinated the prawns with 1 tea spoon of paprika and salt. 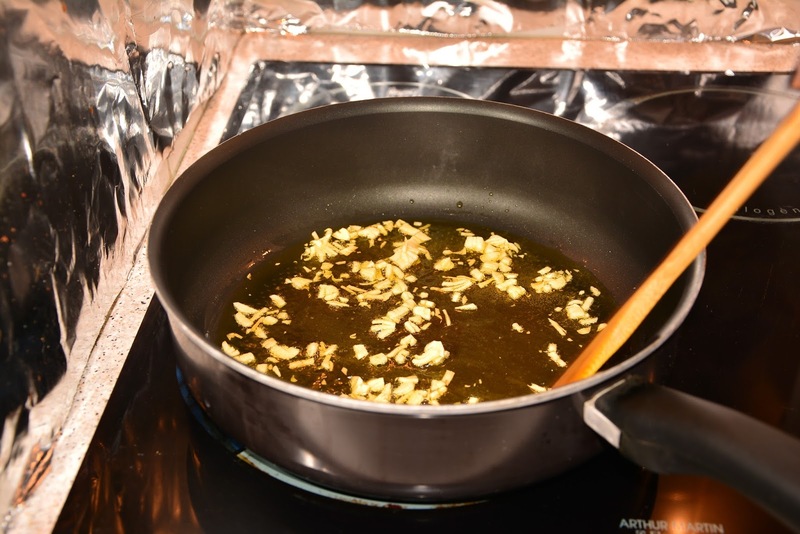 I added olive oil to the frying pan. 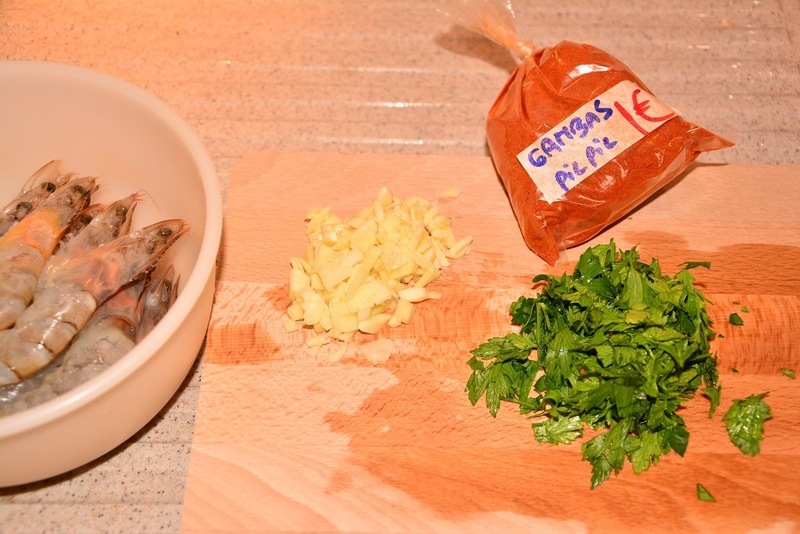 When it was warm enough I added the chopped garlic. Then I sauted the garlic for a while until it changed it's color to golden. I lowered the heat and added the marinated prawns to the pan. 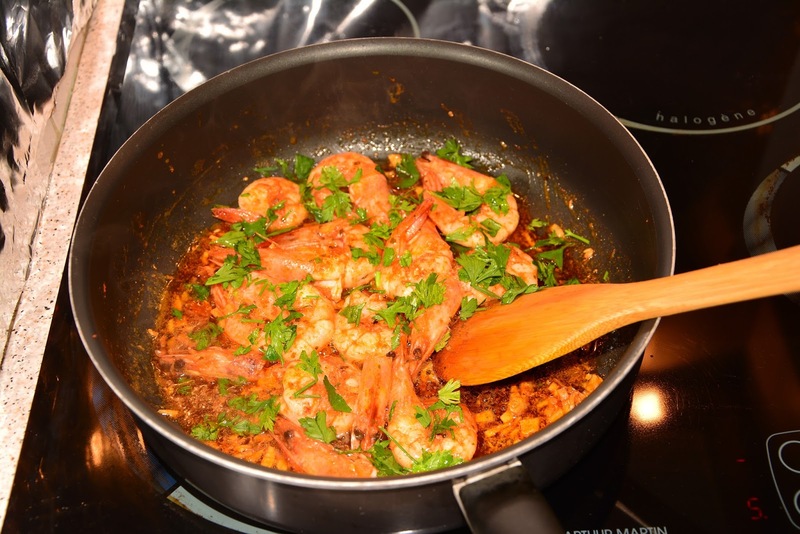 After adding the prawns I increased the temperature and cooked it in medium heat. After 1 minute I added 1 tea spoon of paprika and salt. Then after 1 minute I changed the sides of the prawns. 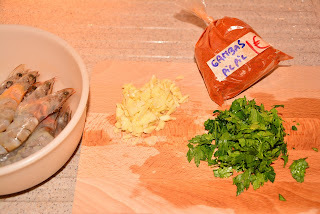 After 1 minute I added the chopped parsley and sauted the prawns a bit. 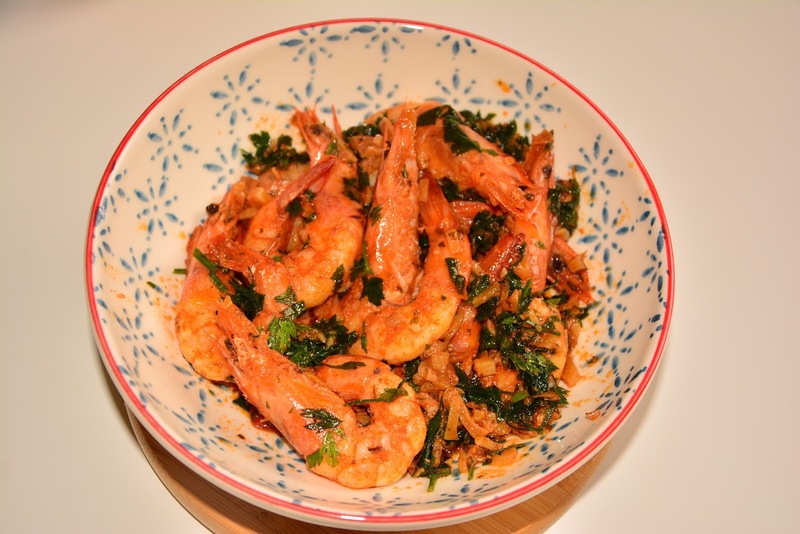 I let it cook for 2 more minutes and woalah Prawn Pil Pil is ready to be devoured. P.S. Do not over cook the prawns. Over cooking makes the prawns rubbery. Now who wants to chew rubber.